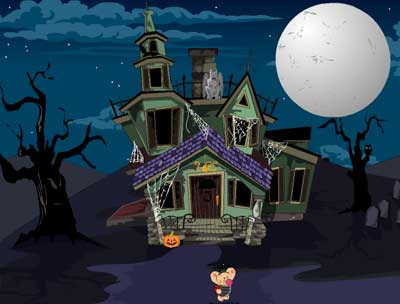 Club Penguin Cheats by Mimo777 Club Penguin Cheats by Mimo777: Mimo Tootsville Party - This time it's a Spooktacular! 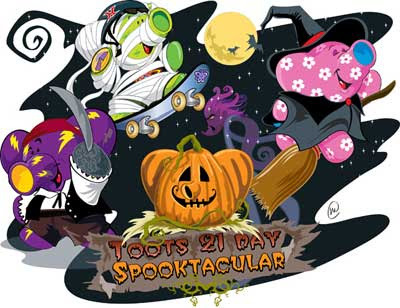 Mimo Tootsville Party - This time it's a Spooktacular! I've been checkin out all the virtual worlds lately. Most of them are all getting ready for a Halloween party. But Tootsville SERIOUSLY HAS A SWEET HALLOWEEN PARTY SET UP GOING ON RIGHT NOW! Check out the sweet rooms! In the organ room there is an audio book floating by the way when you listen to it turn off the lights and hit the red button on the wall, it's cool. There is the house on haunted hill, which is really cool, roll over everything there is lots to see. Inside the house there is two new games, Monsters Vs Aliens and Magic's Quest, they rock! These Pivitz will be very rare and only available on that day so keep going back to get them. Even their costumes are animated! HERE ARE A COUPLE MAJOR CHEATS YOU WON'T SEE ANYWHERE ELSE! Secret 1: If you type in /ghostwayupthere, /boo, /blackbat you will see some really cool emotes. Secret2: You can say "I heard that whoever finds the most flaming pumpkins is going to get the entire set of 8 Toots sent to them!" There are ALSO hidden treats all over Tootsville including some really cool downloadable posters. Happy Hunting! SO....... Let's rock the place again! Mimo and CPG are having a party on Tootsville THIS WEEKEND! You MUST click here and get signed up NOW! SEE YOU AT THE PARTY! After all it is Mimo Party week! Yay you listened to my request! Even though I am UK!!! Thanks! Mimo you are awesome you inspired me of making my wesite and making partys and I will be there. hey i just checked it out in tootsville ITS WAY COOL!!! hey i just checked it out in tootsville ITS WAY COOL! I am so hyped. I saw some fellow Irish peoples on Tootsville. How to u get pixits? Awe. Some. Thanks so much Mimo for having a party Australian time! I was just wondering why your website is still called "clubpenguingang.com". I really hope you ponder this. mimo i want a party for egyptians! Woah! Tootsville's rooms look awesome! cool! but what happened to the cp party with all the clues? did the party all ready happen? thanku mimo sooooo much for making it 8am australia!!!! ur da best!!! hey mimo do you know eney one called cossie42 on tootsville? Because i met them and they had a blue m over theyre head? just wondering? I think I could come. Again, my name there is Cooliosis, not Cooliosis1. Wait, how do you get the Pivit? So the party for Australians is actually on Sunday? Cool! I thought I missed it! This is tootally awesome! Except I clicked on the link but don`t know how to join the party. How do you join? Please somebody help! Go over and read it again and surely you will find out! You have Australian time! Well, that's the first! hey mimo heres a cheat. idk if uve seen it but in the dojo the things the puffles r sitting on have a fire underneath them. hey mimo! 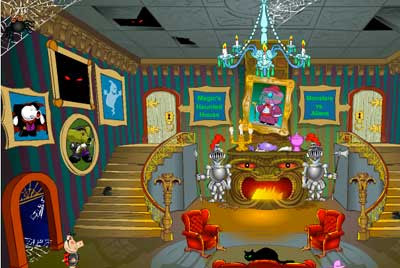 the music in the halloween party on tootsville is the same as the music in the secret builders haunted mansion! lol! Hey mimo check it when you put an emote it comes up as a pumpkin! yey ill be there!!!! and by the way i only started tootsville this morning and i dont know where the haunted house is. can anybody please help me?? but would it be on the sunday for us and the saturday for you?? Anyone with a blue 'm' ove their head means that they joined from Mimo games. If you did from their, then you will have one too. Yoou can't earn one, but you get it straight away! what happens when u say secret 2? OK! I'll try to make it! You know, Secret Builders? YOU introduced me to it... ITS MY FAVORITE WEBSITE! (other that your blog) Let's party there sometime! Toots Square & Toots Idol. What server? dottie or zap? they made servers now.. I might not be the Toots 'expert' that you're looking for, but I know some things. If you click on the map or just search around for a while, thats the best way to find anything and get to know the any place. Good luck! How do you get the pivit? I am new and I cant figure it out. Do you have to be a VIT? Ar on Tootsville any free items? no mimo lives in the us! 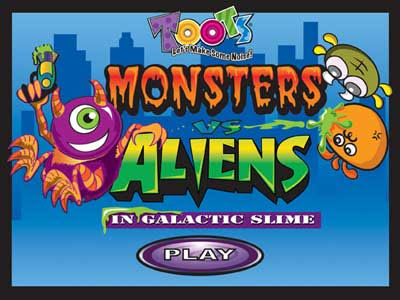 what monsters v.s aliens like the movie? :P maybe they'll show it and then people will stand there for hours( did i just say people?i meant toots!) and then they will turn into real aliens then the toots who weren't watching it will turn into monsters because of the aliens are annoying them and then the are all fighting then it will REALLY be monsters v.s.aliens!!!!! mimo the toot party was so cool the flaming pumpkin said you were cool and his name is JACK and was asking questions and giving out prizes and he said he will be there everyday giving out prizes ITS SO COOL! That was AWESOME Mimo! Thx for adding me! Are you going to do a post about it....? I know it's awesome! I answered one of Jack's questions and got a One Year Membership! It's really amazing! mimo that sounds totally awesome but I cant make it :( My dad won't let me under any circumstances go to bed later than half 10. Could you make it a little earlier next time? Monsters vs. Aliens? Isn't that a movie?